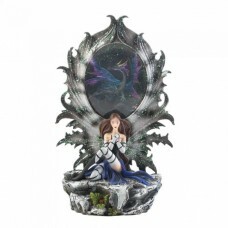 This otherworldly decor accent will shimmer with mystical style on your shelf or desk. 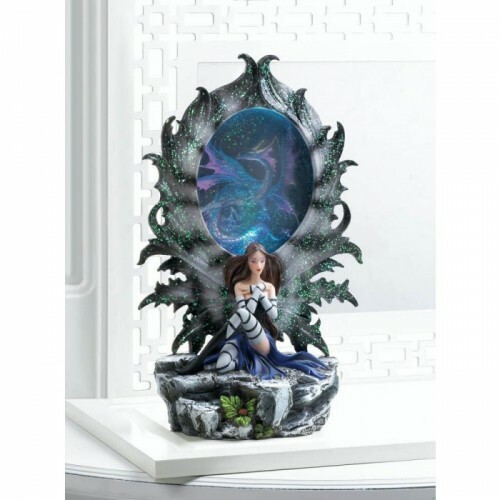 The amazing design features a pretty fairy resting against a dragon portal that lights up with the flip of a switch. 8" x 5.62" x 2.5" high.